There is a difference in developmental editing and copy editing. In copy editing spelling, punctuation, and mechanical errors are the task at hand. Developmental editing comes prior to copyediting. There’s no need to look for a missing comma or semi-colon when you don’t have your characters well-developed or when the plot is not moving and the scene is not set up. That book will need to be rewritten before it can be sent for a copyedit. The developmental edit is a huge process sometimes involving ghostwriting. The developmental editor may rewrite sections where the author is stuck. He or she may give ideas on how the story could move forward, or suggest a new avenue or a new character to be introduced or removed. Of course, we’re talking about fiction books in this regard, but non-fiction books have the same problems, maybe not so much with characters, but with transitioning from one point to the next and overall content and flow. There may be places where the author is talking about a subject that hasn’t been introduced to the reader. The author already has knowledge on it the subject, but the reader doesn’t learn about it until Chapter Fifteen. In such a case, a developmental editor might tell the author, “We need to move this description to Chapter Two before you speak about it in Chapter Three. Developmental editing is a matter of rearranging the text and getting it to a flow in a way that makes sense, that’s logical, so the book’s content is congruent instead of randomly thrown together. Even though a poorly written book may contain a lot of information, it needs to be cohesive enough for people to follow and feel like they learned something. People not only have very short attention spans, they get discouraged very quickly. How many times have you heard people say, “Well, I started the book but I just couldn’t get into it. I never went back to it.” That’s what happens to a lot of poorly written books. People lose interest very quickly and may not bother to finish reading the book. You can be sure that book will not get a good review or any word-of-mouth promotion from the reader. When you have your book copy edited, you should expect a thorough line-by-line check for typos to include spelling, grammar, punctuation, word usage, and mechanical errors. These will be highlighted or “red-lined” much like a teacher grades a research paper. The author still has final say, but the copy editor knows style guides, front matter, back matter, indexing, layout, formatting, and other things your English teacher may not know to look for. The developmental editor’s job is to get the book ready for the copy editor. The copy editor’s job is to get the book ready for a publisher or printer. That’s the difference between developmental and copy editing. After spending several years in a corporate setting, Yvonne Perry decided to make a brave move and start her own freelance writing company. Leaving her full-time position as an administrative assistant in the sales and marketing division of a Fortune 500 company, she started her new career in 2003 with very little business experience. Today, she is the owner of Writers in the Sky Creative Writing Services where she serves as a freelance ghostwriter and editor for individuals and businesses. By aligning herself and her company with other writers and experts in the field, Perry has networked her company to the top as a premier ghostwriter and editor in Nashville, Tennessee. She and her team stay busy on client projects such as writing media releases, ghostwriting and editing books, article writing, creating ad copy, and producing business documents. The team provides writing and editing services to individuals while offering a logical way for large corporations to outsource their writing needs. Thanks to the Internet, the company’s reputation has reached international status. With her wide variety of writing experience that includes impressive résumés, personal and professional bios, high-quality press releases and articles, as well as case studies, proposals and marketing pieces, Yvonne is ready to work with you on your next project. 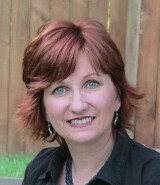 For more on Yvonne Perry and a list of her books, please visit Writers in the Sky.